During the Super Bowl on Sunday night Anheuser-Busch InBev (AB InBev) ran a commercial that did not involve puppies, horses or wolves. Instead the ad, titled “Brewed the Hard Way” relied on text superimposed on top of brewing scenes, friends out at the bar knocking back Buds, and other random beer shots. It focused on its history, and its beechwood aging process dating back to the 1800s. Then it took a turn. “Them” seemingly referred to a customer base that has seemingly shunned larger breweries in recent years. 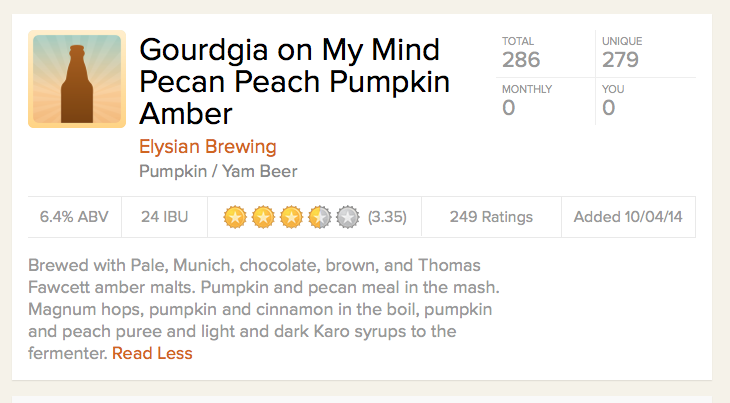 What was interesting about the ad to many viewers is that AB InBev in January acquired Seattle’s Elysian Brewing Co., which is known for it’s many pumpkin ales, and even brewed one with peach. All About Beer reached out to AB InBev for comment, and received an emailed statement this evening on behalf of the brewing company via Jen Crichton, a vice president at Weber Shandwick, a public relations firm that represents the brewery. Budweiser deserves some credit for defending their beer. I’ve said for years in my blog (http://youmakewhat.blogspot.com) that Bud should have a place. The light American pilsener is a legitimate style, and Bud is the best representation of that style. Bud’s fault isn’t quality, it’s choice. What we have right now is icredible choice, and when I go out, Bud is one of those choices. Ok first of all bud is a American lager, not a pilsner. Second bud is a good every day lager. I’ve had a vip tour if the brewery in Fort Collins co. And right from the 4400 barrel tanks it’s awseome. I do believe bud need to go back to its roots. And make beer the true German way. It doesn’t beet a good German lager. The big boys went to cheaper ingredients for a bigger profit. Corn and rice will make beer but have very little flavor. Craft beer is a reality check. C.S. Lewis wrote “the great Divorce” it is an aligory about heaven. I think It is appropriate to relate it to the gulf between domestic and craft beer.